Welcome to the Graham Local Schools Website! Our vision is “Success today, Prepared for tomorrow.” Welcome to a progressive district that values tradition and ceremony, along with a growth mindset to provide a holistic education experience for our students and community. We do that through the hard work of a dedicated staff and community partners, implementing a focused strategic plan, Graham 2020. On behalf of our Board of Education, and the staff of the Graham Local schools, we hope you find the information on this website helpful. As you click on the links, you will find important information, such as, contact information, district forms, news releases, information on programs and curriculum and our calendar of events. 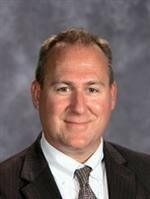 As your superintendent, I am excited to see Graham Soar this year. When people ask, “What’s Good at Graham?” I can assure you we have a list of the finest students, staff, facilities, programs and opportunities to share! Go Falcons! My role is to be Graham’s chief advocate, consultant, & champion of public schooling as a destination location in this district, county, state, & nation. I will emphatically & enthusiastically do this daily. My job is not to promote other avenues. 1. Problem-based, and “STEAM” learning is taking hold in classrooms. 5. New online Math curriculum has been approved with teacher leadership K-8 for the first time in over a decade, at a fraction of the cost of textbooks. 6. Our literacy foundation work has provided resources to over 250 Pre-K families through a grant funded program that has grown countywide this year. 7. Graham has been recognized two consecutive years with Spirit of United Way Awards for its efforts in building community partnerships. 8. Graham Elementary received the Momentum Award in 2017 for literacy achievement. 9. Graham’s Preschool received the 5-Star Step Up To Quality Rating in 2016. 10. Graham’s Public Relations received awards for the first time in 2017. 11. Graham staff were trained in Bridges Out of Poverty for better community awareness. 12. Graham leaders have facilitated countywide strategic planning to better our community. 13. Graham Middle and Graham Elementary both received rare STEM Designations from the Ohio Department of Education in 2018. 14. Graham was named 1 of 25 Model Schools in America for Innovation in 2018 by AASA and SPN. 15. Graham was selected as the only small school from Ohio to the highly selective League of Innovative Schools in 2018. 16. Graham’s Career Gears system of K-12 career & college readiness has been featured at the state and national level for its use of credentialing and pathway programming for all students. 17. Graham’s programming has been the subject of a U. S.Dept of Education case study, blog, and several fact finding trips. 18. Graham staff are using the 1st interactive, professional learning App in Ohio to model personalized professional learning. 19. Graham staff are leading their own professional learning for the district at a higher rate than ever before, providing a strong budgetary return on investment. One activity has eluded us: securing our fiscal health through the passage of a levy for new operating funds. Activities during the next 6 months are going to be significant particularly in an environment of tremendous change in education. The various generational civic and political interests within our community have made it clear we have a complex dynamic to address together in the Graham community. With your help, our vision will guide our students to fulfill our vision of Success Today, Prepared for Tomorrow in a career, military branch, or college of their choice. To create a network of contacts and resources to assist in the work of improving the Graham Local Schools and its links to the community we sustain, support, empower, and improve through public schooling. These activities give me tangible goals to achieve on behalf of the Board of Education. These goals will also support the long-term success of our district, students and staff. I want to thank our parents and community partners for all they do for Graham. We are stronger together, that much is certain.